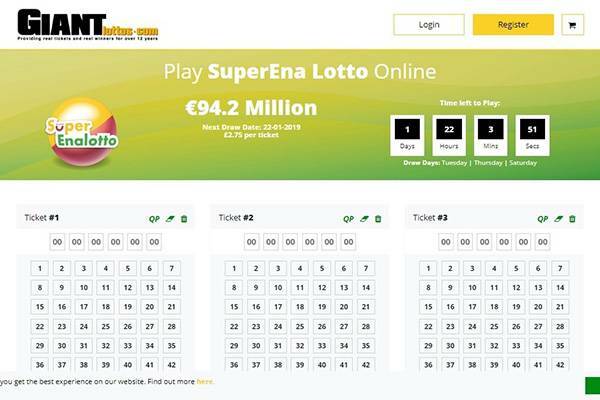 To create a Giant Lotto account, you would need to complete a step-by-step simple registration process that requires you to input personal details, after which you would be required to credit your Giant Lotto account with a minimum of €10 up to €400. 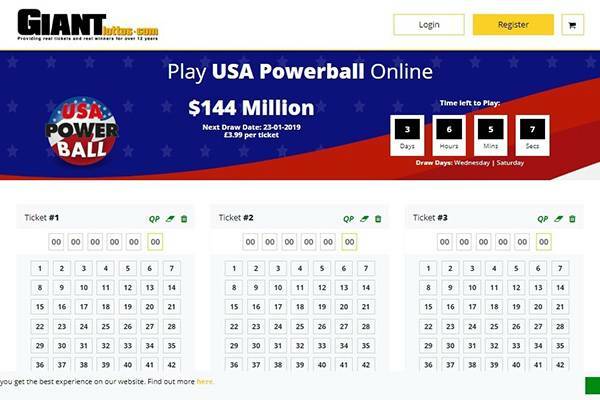 Once this is done you can start playing by choosing lotto numbers and paying from your account, you can select numbers manually or through an automatic generation option. 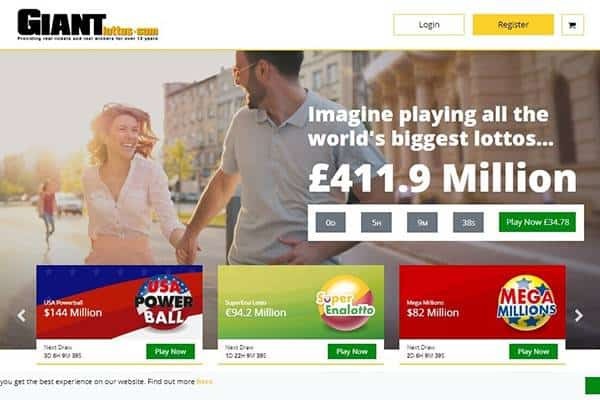 There seem to be no negative sides to playing lottery via Giant Lotto, they offer the biggest international jackpots with generous bonuses for players, a customer loyalty reward system, regular discounts as well as transparent and reliable systems. Giant Lotto offers a wide range of options when it comes to game play options. They include: individual play (allows players purchase single tickets on an ad hoc basis options, in bulk or on a monthly subscription plan), the bulk play (purchase tickets in bulk and get discounts ranging from 10% to up to 30% depending on number of tickets bought), there is also a monthly subscription that allows you enjoy a one-time account debit and a 10% discount on standard ticket price. The syndicate play is also available (here, players get to collaborate to form a lottery syndicate with friends, this allows you pool money together to buy more, reduce individual cost and increase winning chances). Giant Lotto statistics suggest that one out of every four jackpots are won by syndicate groups. There is no mobile application for Giant Lotto. 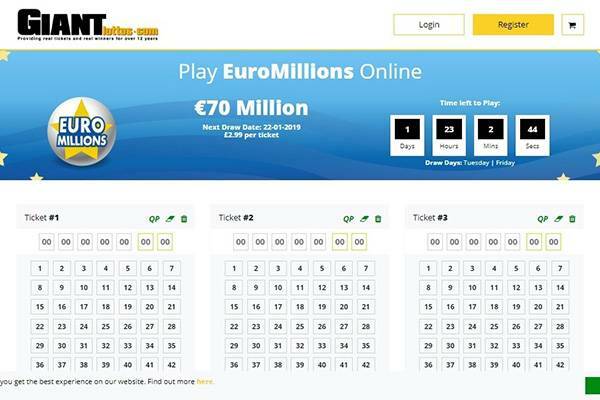 Giant Lotto offers a variety of bonuses, they include: the ‘100% Welcome bonus’ (top up your Giant Lotto account with a minimum of €10 within seven days of registering and get double your deposit amount for ticket purchasing), the ‘Invite a friend and get a reward’ bonus (get €10 to purchase tickets when you invite a friend that plays and 1% of the prize when the person wins the jackpot), the ‘Quantity discounts’ (pay for five or more ticket at once and get a 10% discount plus 20% cut for fifteen or more draws and 30% for twenty or more draws), sign up discount (sign up for mailing and get a 10% discount for every lottery ticket purchased), Customer loyalty and bonus program (one free ticket once a month when you buy 20 tickets for one lottery within a one-month period), the ‘Green button bonus’ allows you get a 50% discount after you deposit more than €100 in your account. There’s a FAQ page for user’s own support, but it is simple and limited – only the main issues covered. 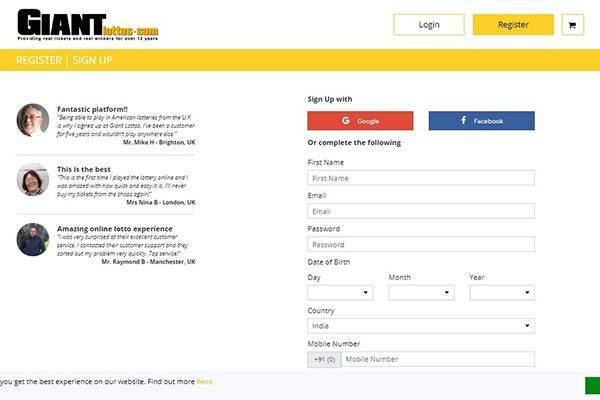 For those who require a tailored, Giant Lottos has a Contact Us section with contact details – direct email for several occasions and a direct phone number that is available during working hours. Is Giant Lottos legit or fraud? 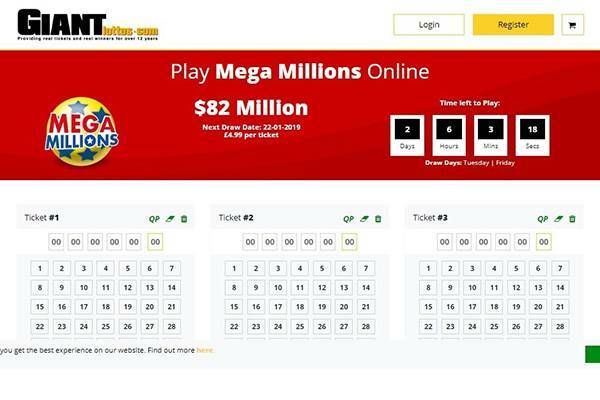 Definitely, the Giant Lotto platform is legit with a fast-growing popularity and credibility that is perhaps second to none, they have a ten-year successful operational lifespan and counting, Giant Lotto is secured with a 128-bit encryption technology. Giant Lotto gets a full recommendation based on the availability of a variety of games on their platform, high game quality, and a fantastic user experience. Giant lotto is one lottery agency with a very large amount of credibility and approval.